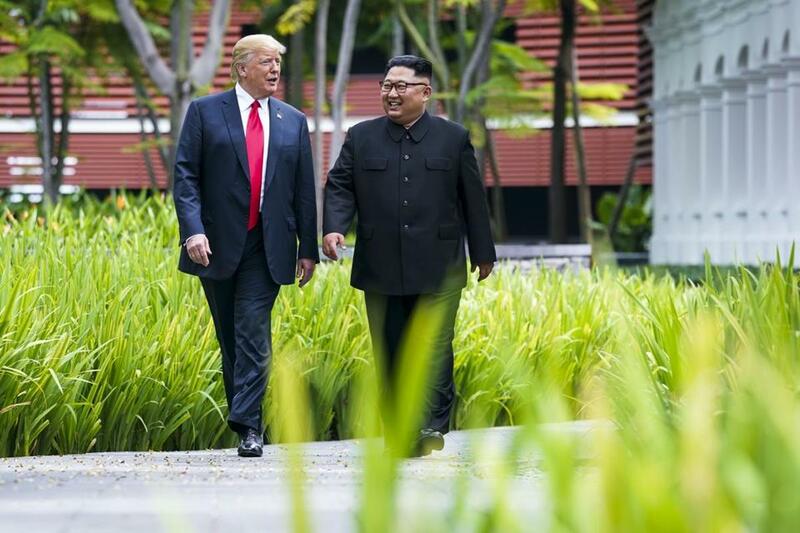 He joked about criticism he would get from the news media for making a comment some would consider ‘‘unpresidential’’ and for being so positive about the North Korean leader. More than three months after the June summit in Singapore, North Korea’s top diplomat Ri Yong Ho told world leaders at the UN General Assembly Saturday that the North doesn’t see a ‘‘corresponding response’’ from the US to North Korea’s early disarmament moves. Instead, he noted, the US is continuing sanctions aimed at keeping up pressure. ‘‘It’s so easy to be presidential, but instead of having 10,000 people outside trying to get into this packed arena, we’d have about 200 people standing right there,’’ Trump said, pointing at the crowd directly in front of him.